Western Canadian Music Awards (Artistic and Industry), BreakOut West Festival! We encourage you to complete your submissions ASAP. A reminder, it's completely FREE for SaskMusic members to make nominations for Industry Awards. Take a look and submit those you feel worthy! Submissions for the 2015 Western Canadian Music Awards and the BreakOut West Festival in Victoria BC (September 17–20) close this weekend! All online submissions must be completed by March 15. Remember, there will be no extensions this year! Please don't wait till the last minute! If you have any questions regarding the rules and regulations, you can contact Johnny at BreakOut West at 204-943-8485. If there is a problem with your online submission you can email DMDS (support@dmds.com) or call the help line at 1-866-992-9902. Want to be a WCMA Juror? We are looking for new jury members to help adjudicate the WCMAs. If you are not in consideration for a nomination yourself this year, maybe you could help select the final nominees in either artistic and industry categories! It's an opportunity to hear great new music from across Western Canada, and have a voice in determining the nominees! Contact johnny@breakoutwest.ca to submit your name to participate as a juror for the 2015 Western Canadian Music Awards! This year's BreakOut West Festival runs concurrently with Rifflandia Music Festival.This means MORE fans, MORE industry, MORE business, MORE fun. This year is shaping up to be the biggest BreakOut West ever! We're expecting 12,000+ music fans, including 500+ national and international industry professionals! You do not need to have a current album release in order to submit for the Festival. Selected Festival artists can apply for showcase support through Creative Saskatchewan and FACTOR. Please note: You must submit a Festival application if you wish to be considered to perform. If you are submitting for an Artistic Award nomination, we encourage you to also apply to the Festival so that you can play if you are nominated! Artistic nominations are submitted for albums released to retail between January 1, 2014 and March 15, 2015. Final nominee selections are made by a panel of impartial jurors from across Canada. Industry Awards recognize the achievements and contributions of music industry professionals from across western Canada in the past year. Nominees are judged based on work completed in the given submission year, January 1, 2014–March 15, 2015. Submissions can be for yourself or for someone else you feel deserves the recognition. A panel of impartial jurors from across Canada will adjudicate all submissions and select the final five nominees in each category. 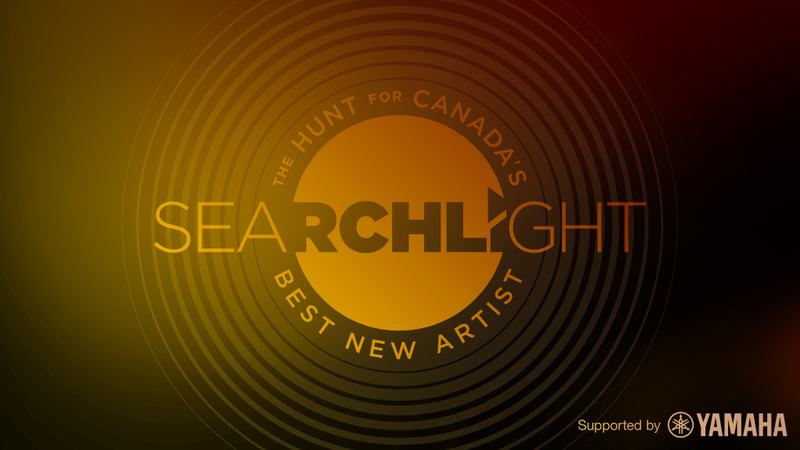 CBC Music and CBC Radio One want to help launch your career with Searchlight, a competition that connects artists with fans in their community and across the country. Any style of music goes. It’s your chance to show off your musical chops, get new exposure and win some career-boosting prizes in the process! The grand prize includes $20,000 worth of music equipment from Yamaha Canada Music, and a spot on a high-profile music showcase. The contest kicks off with a regional round, where people can vote for up to 10 of their favourite bands in each region, each day. This means you can work with other local bands to help drum up support. The winner of the regional contest gets entered into the national contest. These regional champions will be exposed to all of Canada and checked out by a panel of celebrity judges, who will pick the best. The winner will be announced on May 15 on CBC’s Q. You can also go and listen to all the entries from Saskatchewan so far, or from all across Canada, at http://music.cbc.ca/#!/cbcsearchlight/.